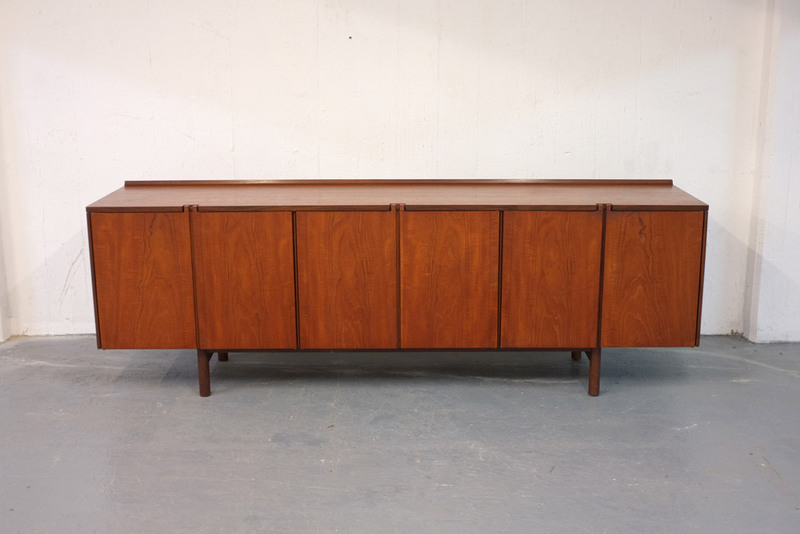 A large 1960s sideboard designed by Robert Heritage for Archie Shine, UK. 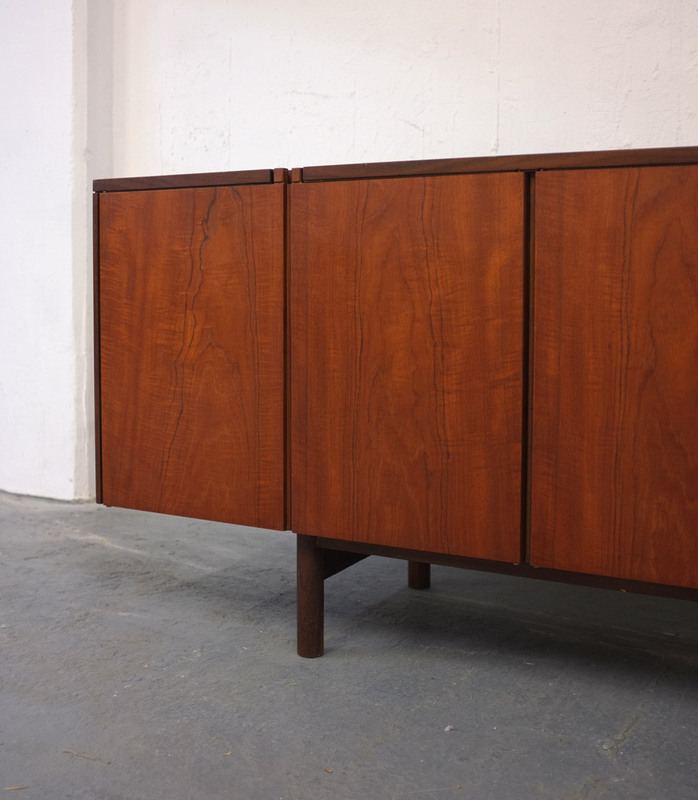 A high quality piece of British design, originally sold through Heals and Harrods. 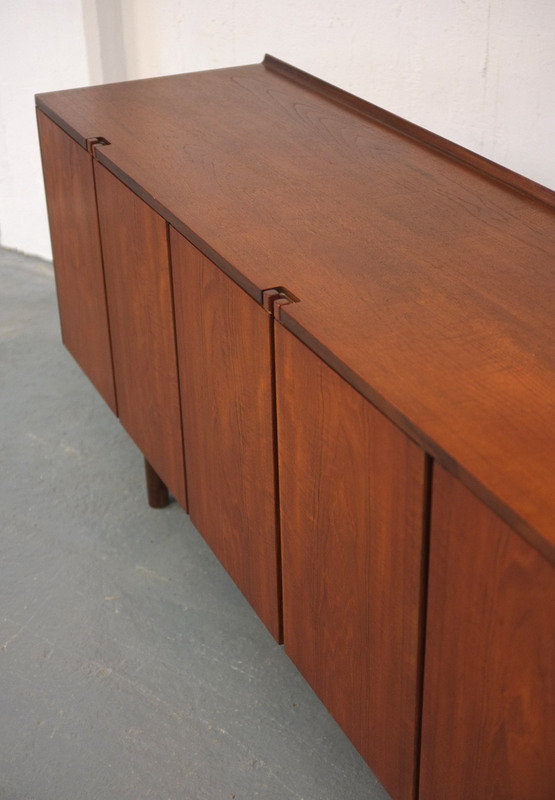 Teak carcass with 6 doors with nice notched handles. 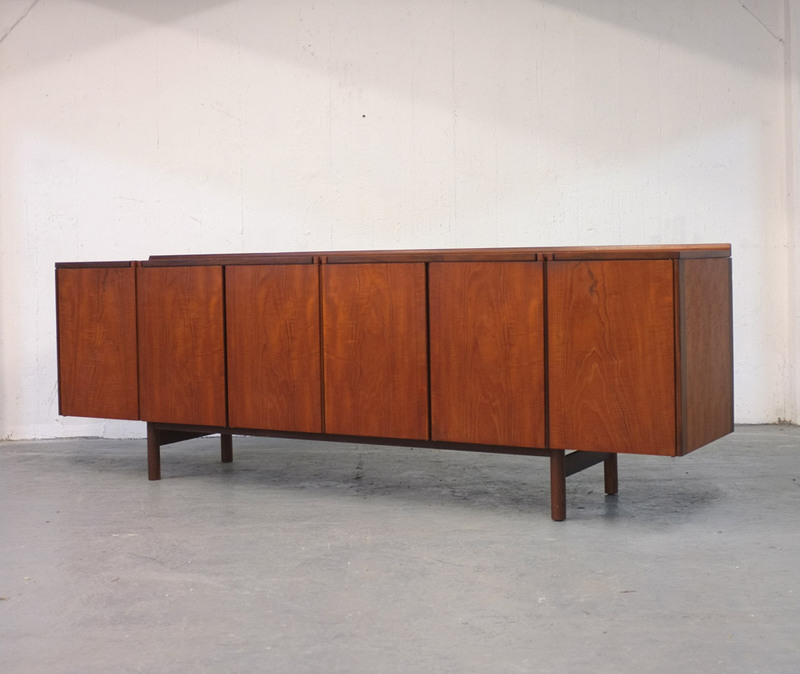 Offers huge amount of storage, there are two shelved areas inside and on one end there are 3 pull out drawers in a contrasting light wood. 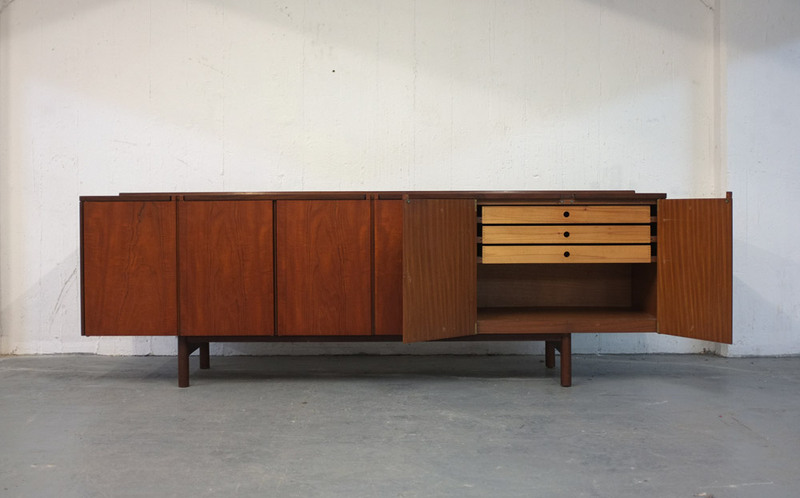 The top drawer is baize lined with cutlery dividers. In very good original condition with some minor marks. Dimensions:228cm long x 51cm deep x 76cm high.